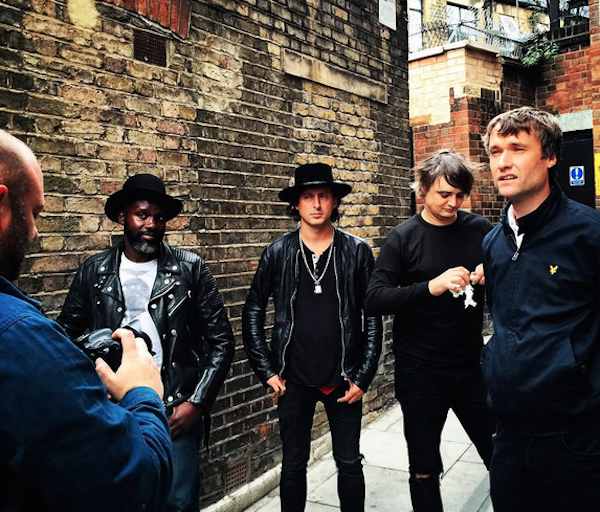 The Libertines did a special live performance on BBC Radio 1’s Annie Mac show earlier today (their first radio gig in “about 12 years,” according to Mac), and used the chance to share one of the new songs off their upcoming reunion album, Anthems for Doomed Youth. “Barbarians,” which the group first performed earlier this month at the T In The Park Festival, is the second new track off the album—the first was “Gunga Din.” The album drops September 4 via Harvest Records. The band also did a quick interview during the program—listen to the full episode here, and skip to around 7:50 to hear the new track.